All stone set rings shown below have been made entirely in our workshops in Chichester. Each ring is a one-off, designed and made as a unique piece of bespoke jewellery. They show the high quality of work and the myriad of designs and styles that we are able to produce. 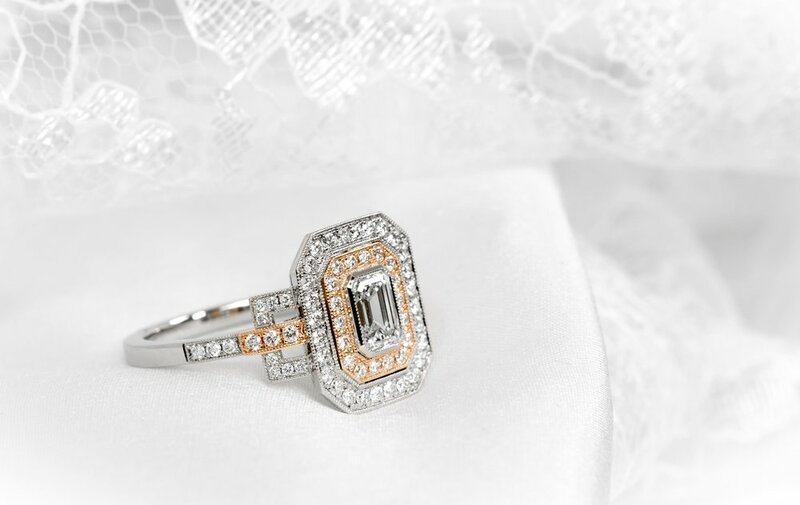 Platinum and 18ct rose gold diamond set Art Deco style oblong cluster ring. Beautifully made and set entirely in our workshops here in Chichester, England. Platinum mounted pear shaped diamond with foliate shoulders. Made in Chichester, England. Platinum and 18ct rose gold Edwardian style daisy cluster. Made in Chichester, England. Platinum mounted claw set pear shaped diamond with diamond set shoulders. Made in Chichester, England. Two platinum mounted emerald cut and round cut diamond set rings. Made in Chichester, England. Some nice hand engraving on this ring by one of our diamond setters. Yellow pear shaped diamond cluster, mounted in platinum. Made in Chichester, England. Platinum mounted 0.69ct customers diamond bespoke cushion cluster ring with millegrain edge decoration. Made in Chichester, England. Platinum mounted 3 stone baguette diamond ring. Made in Chichester, England. 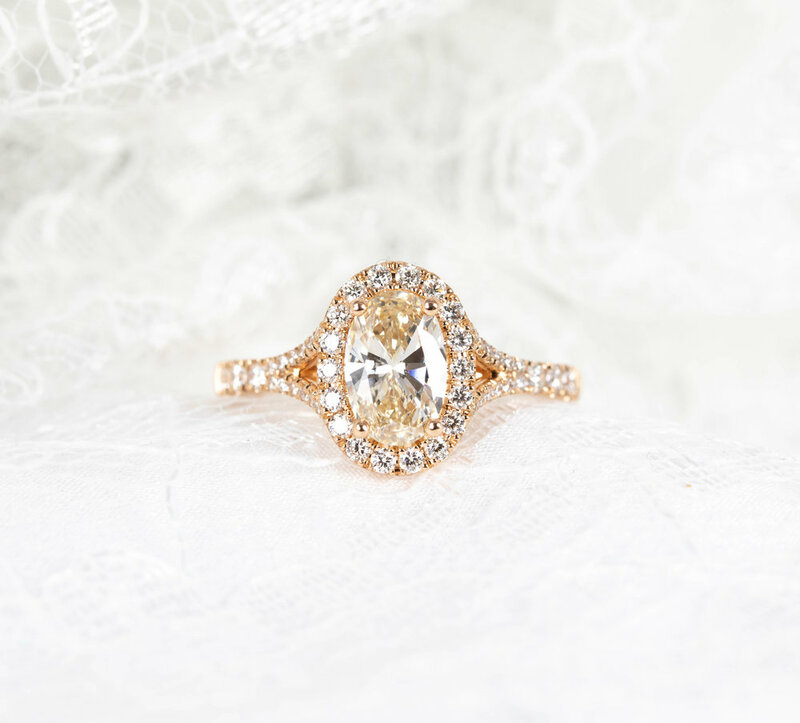 18ct rose gold mounted oval light brown / yellow tinted 0.93ct oval brilliant diamond with diamond border. Made in Chichester, England. 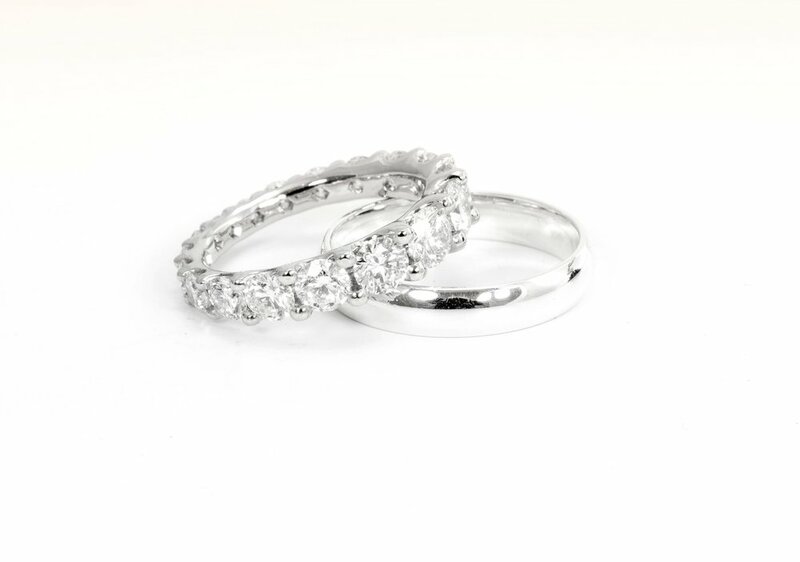 A graduated size diamond claw set full eternity ring. Big stones around the back can be uncomfortable but no-one minds them at the front! Made in Chichester, England. 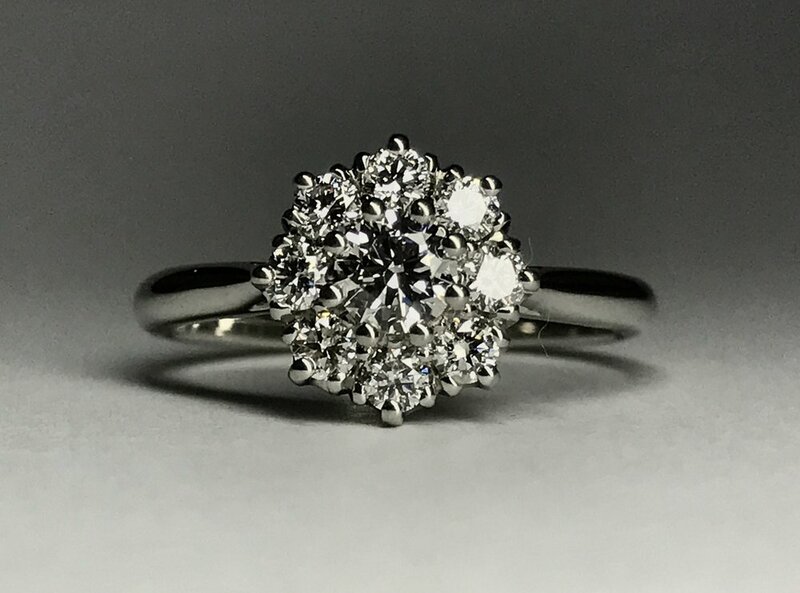 A classic 9 stone coronet cluster ring, this one has a modern twist as it has space for a wedding ring to fit underneath. Made in Chichester, England. 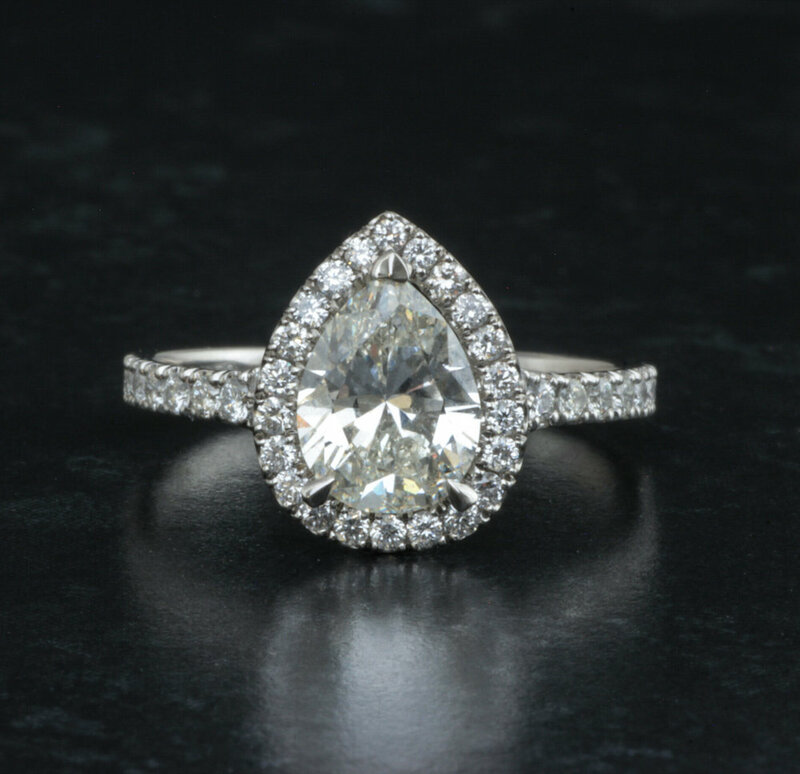 Platinum mounted pear shaped diamond halo cluster. Made in Chichester, England. Platinum and rose gold mounted cushion cut and round cut diamond cluster ring. Made in Chichester, England. 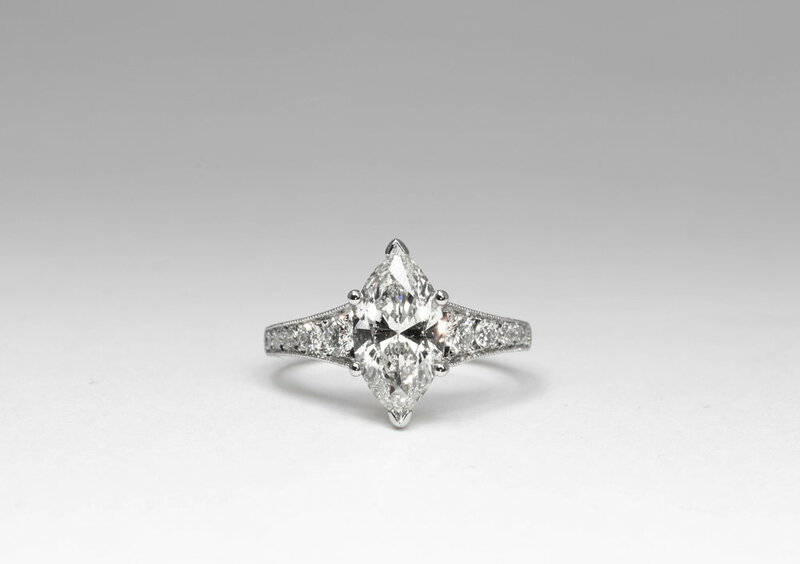 2.05ct Marquise cut diamond solitaire with graduated grain set diamond shoulders. Made in Chichester, England. 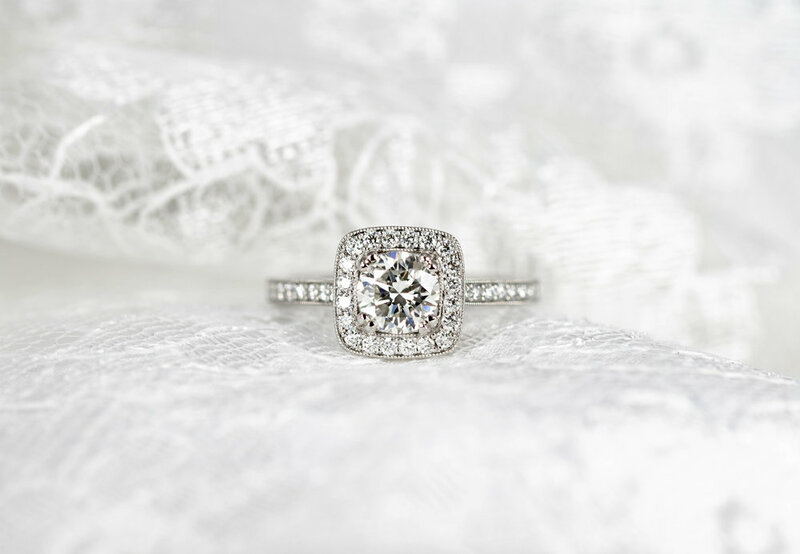 A platinum mounted claw set cushion cut diamond with round diamonds either side. Made in Chichester, England. 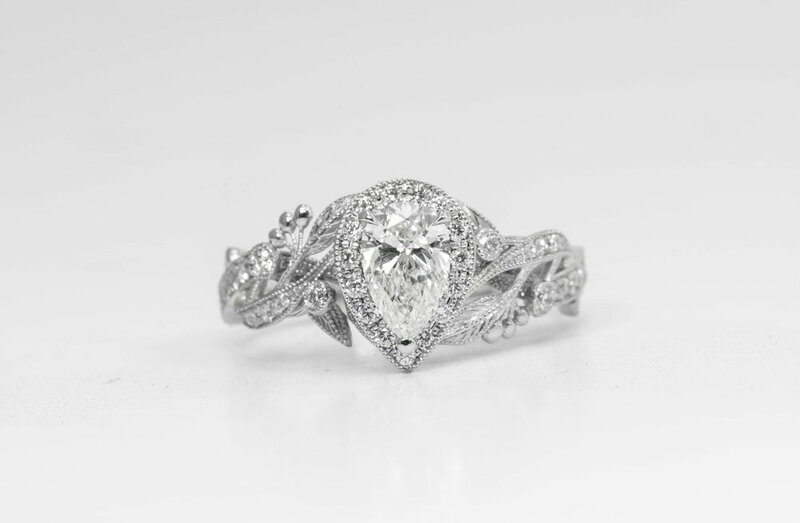 Platinum mounted pear shaped and round cut diamond set tiara ring. This ring is shown being 3d scanned to allow us to make a shaped and fitted diamond set wedding ring - Click here to see the scanning video and here to see the cad work video. 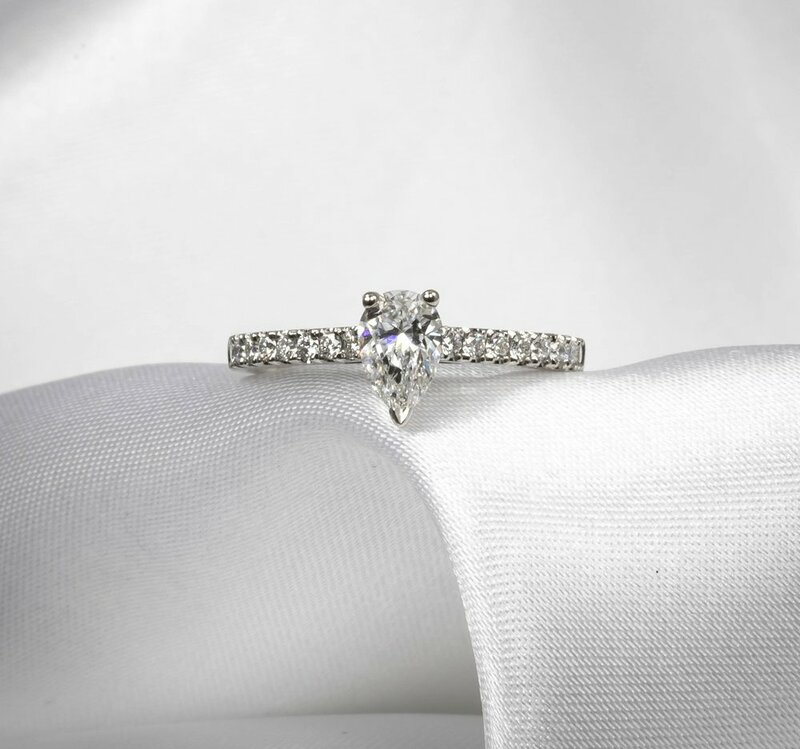 Platinum mounted diamond 2 stone crossover ring with grain set diamond shoulders. Made in Chichester, England. 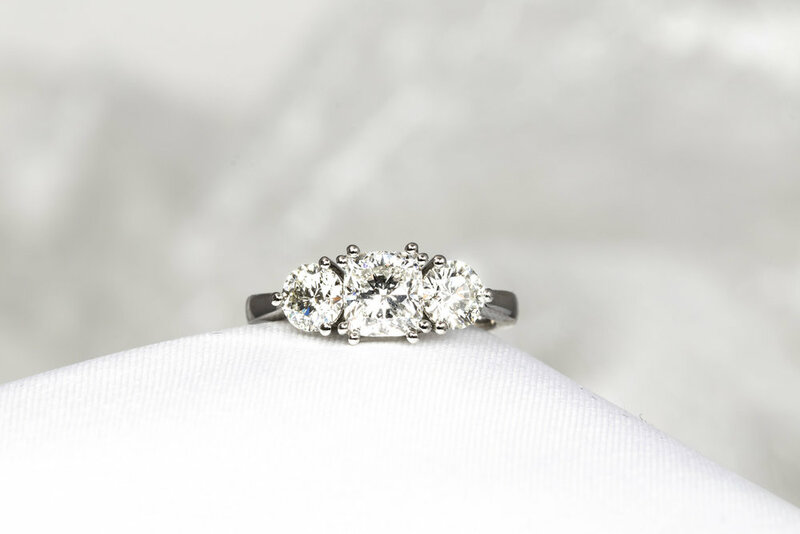 Platinum mounted cushion and round brilliant cut diamond 3 stone ring with diamond shoulders. Made in Chichester, England.